I wanted my last post of 2018 to say "Thank you!" Thank you to everyone who has followed my sewing journeys this year. Thank you to everyone who's been following those journeys for years, especially as I enter my 13th year of blogging. Thank you to everyone who has left a comment, linked to a post, or suggested someone else follow me. Thank you to all of the vendors that have willingly donated gift cards, discount codes, books and patterns this year and in previous years, for my readers. Your willingness to work with me is truly appreciated. Thank you to everyone who has met me this year. At the Socialist Soiree, Sew Camp, at Baltimore Destash, for lunches (especially since I always forget to take selfies to document things), meet-ups and to hang out at the fabric store. These times enrich my life and are treasured for our times together. Thank you to my friends. The people I email and DM, pictures, questions and just to talk. I appreciate the flavor each and every one of you bring to my life. 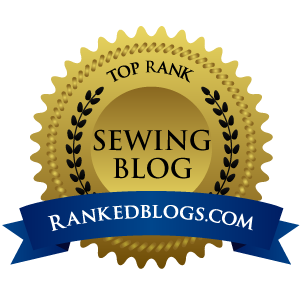 Thank you to all the sewing bloggers who continue to blog. I know it seems as if blogging is being overlooked by other social media avenues, but I truly thank you for the time you take to document your garments progress. The time you take for pictures and putting it all together. I learn so much from all of you and recognize the time and effort you put into each blog post - so thank you! 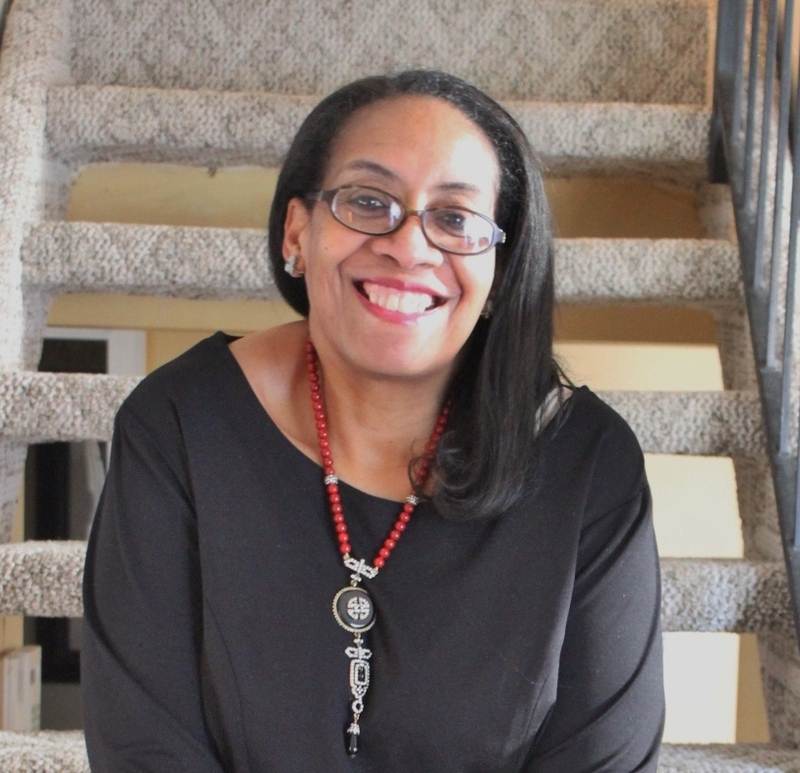 A special thank you to Michelle at Sewn Magazine/Thatblackchic, for allowing me to write a column in Sewn Magazine. Truly, truly that means more to me than you probably realize. Another special thank you to Caroline & Helen at Love to Sew Podcast. It was a special treat to speak with you in October. 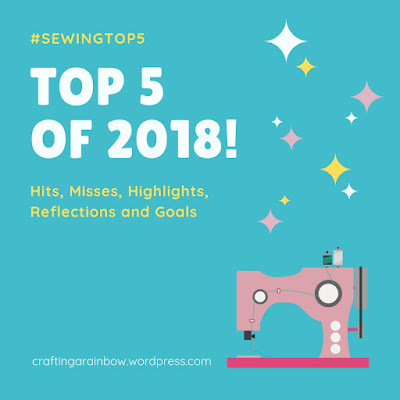 To be featured amongst sewists that are moving the sewing community forward and sharing their love of our artform made me so happy and so grateful. Gillian, thank you for always asking even when I'm too busy, too tired or have my own sewing agenda...you always take a chance and ask! So thank you! Lastly - I sewed a lot in 2018. Maybe not in quantity but in quality there was a lot made. 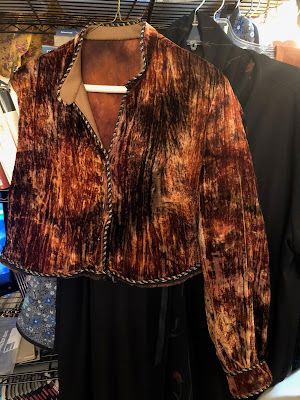 I'm not sure I'm going to sew as much in 2019 since I have a few trips planned but when I'm home, I will be sewing and blogging about it. May whatever being you believe in bless your 2019. May sewing continue to bring much joy, love and light into your life in 2019. For 2018 I really wanted more shirts that button down the front. I wanted a standard collar that meant undercollar and collar. I wanted a buttoned cuff but I didn't necessarily need a menswear tower placket to accomplish that look. After I made my first series of successful shirts, I went on a fabric buying tear and bought enough fabric to make 30 more shirts. A little overboard, I know...but I kept seeing shirts in a wide variety of fabrics. I even wrote an inspiration post to share some of my ideas. I ended up making 16 shirts this year...and all but four are solid colored. Making solid colored shirts will be a priority in 2019. Cause I love having all of these shirts in my wardrobe. LOVE! I made shirts almost every season of the year except summer. I didn't make any then because there were dresses and other things to sew. It's also probably the only time of the year that I don't wear them. Though one of my friends said that they thought my Katies qualified as shirts. However, I think of them as tunics and/or dresses and didn't include them in my shirt count. The last two shirts are finished just not photographed on me yet. These shirts will show up on the blog sooner or later. It rained alot here lately and then it was Christmas, so no photos. But since my daughters graced me with a new dressform for Christmas, here are some Sewing Cave photos of the lastest shirts. After I sewed the sleeveless shirt in June, I took a break. It was October before I started sewing more of my basic button front shirt. The "Zooks Shirt" was my first fall make. Thank goodness for solid colored cardigans because I got this idea to turn a bunch of my border print fabrics into shirts. I called it The Border Print Series. When I started making shirts in January, I wanted to make several shirts. I was thinking like 10...so I'm thrilled that I've made 16. Another thing is that of the 16, one will be donated. The Hurrying Spring Along shirt has really tight arms. I love the idea of the shirt and it hurts that it no longer works for me. Hopefully someone else will love it as much as I do. This is the garment I made the most of in 2018. I've been wearing the shirts almost every week. They work well with a cardigan and jeans. It's also the garment that fits best with my lifestyle. 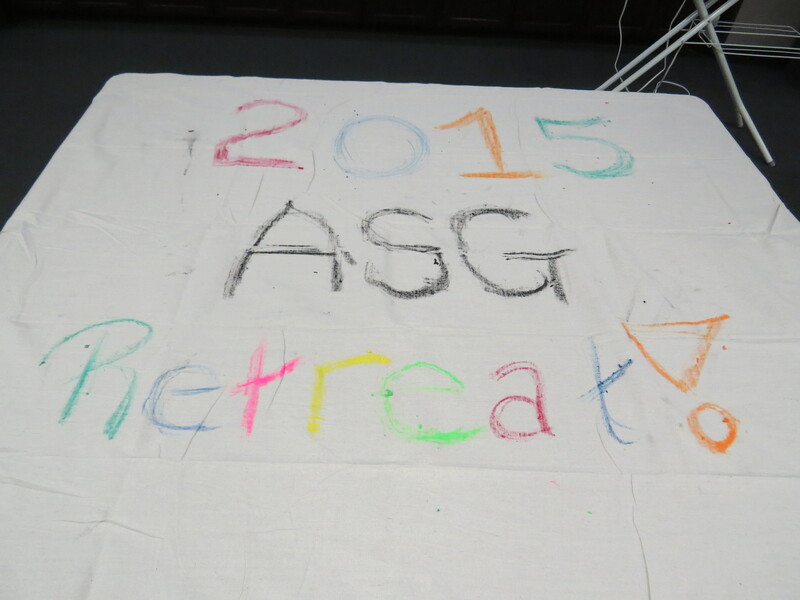 I also like the challenge of sewing shirts. I like how fabric and embellishments can change the flavor of the garment and I will be making more in 2019. This is the last retrospective post of my sewing for 2018. I am sewing and can't wait to share what I'm working on. 1. The maxi Myosotis dresses were clear winners this year. 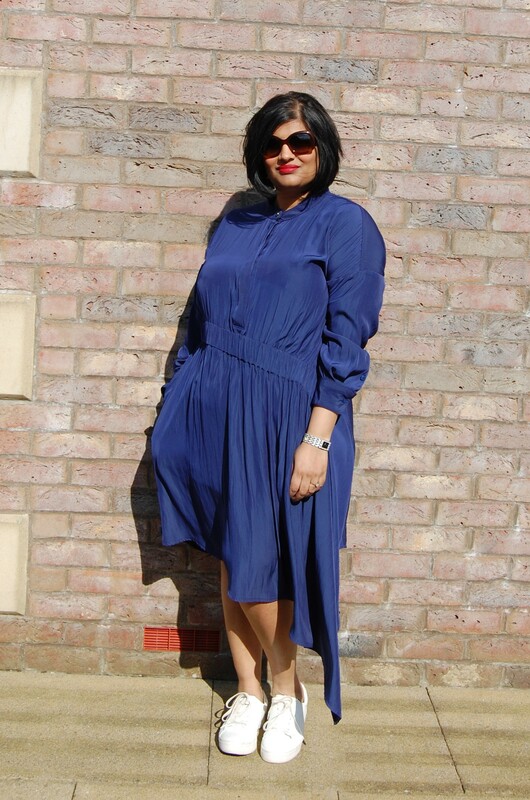 I definitely wore the rayon maxi more because it was so comfortable to wear and worked in so many occasions. The velvet maxi just has a wow factor I haven't sewn in a long time! Still figuring out where I'm wearing this too but I love this dress. This is an inspired by jacket and I explain the inspiration in the blog post. I made this in January and didn't really wear it until spring. It makes my list because I bought an inspiration to life. Though it's really the fabric that makes this jacket sing. Also my daughter photographed the heck out of this jacket! This was the third version of McCalls 7481 and the one that received the least amount of love on both my blog and IG. But it's my fave of the three versions. It's also the one that will be the jump off for future jackets. I made so many shirts at the beginning of the year that I titled April shirt month. I wore those shirts all winter and spring and then started wearing them again in the fall. Button down shirts have become my most favorite garment to sew & wear and have become "the dress pattern" of my casual wardrobe. Y'all I taped this Sew Sew Def by MimiG pattern together! That in itself makes it legendary. Then I went on to make four more of them and while I love them all, the first one makes my Top 5 list. This is the most comfortable tunic EVAH and caused me to love pockets. 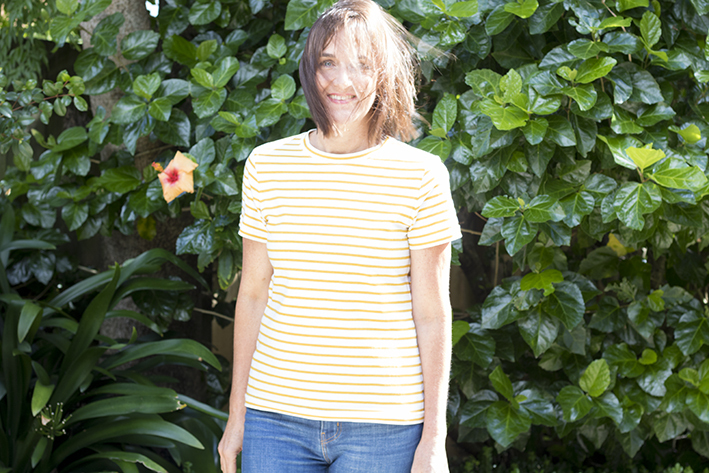 I wear it with a pair of knit cropped leggings and it's perfect on a hot summer day. I really found my style this year. I made garments that I loved and wore alot. I experimented with garments and indie patterns and showcased ALOT of fabric! *LOL* Of course there were some makes that just weren't what I thought they would be. I hate that this shirt is on this list but I cut the sleeves on the cross grain...and of course they're tight and uncomfortable to wear. I keep thinking I need to figure out a way to salvage this shirt. Then I think donate it and hopefully someone without my fat bicep problem can enjoy it. I liked the idea of this top but I wasn't comfortable wearing it. Maybe adding those ties wasn't such a great idea after all! This one will hit the donate bag also cause maybe someone else can find some love for it. The pants are staying in the collection though...cause those wore well this summer! These pants are made from my TNT pattern and made exactly like the black & white striped ones mentioned above. However, they weren't as comfortable to wear. So I'm donating them and working on another pair next summer. While I got the top to fit, I really don't like how the shawl collar works. It still needs more work and I'm just not willing to put that work in. So this top will go in the donation pile too. While this was a fail and posted on the blog as a fail, I did learn something from this process. That is a waisted shirtdress doesn't work on me, will never work on my body and that I should stop thinking I can make a pattern work. Some silhouettes don't work on my body type and I'm learning to just move on instead of wasting my precious sewing time. I made 46 garments this year - 4 pieces less than 2017. However, I think my garments in 2018 were much more involved sewing and included way more buttonholes than in any year previously! * Another plan was to sew using more fabric from the collection. Well I'm not sure I achieved what I wanted to. If half my garments had been made from collection fabric, I would have called it successful. There were 14 pieces from the collection (about a year old) and 8 pieces from the deep collection (4-10 years old). So close but not quite. * I am the Brand Ambassador for Elliott Berman Fabrics and made 5 garments using their fabric. I will be sewing garments from EB fabrics into 2019. I love EB fabrics and love working with Eugenia. * Eleven garments were made using Indie Patterns - Cashmerette, Deer & Doe and Sew Sew Def by Mimi G.
* The rest were either TNT patterns (my shirt & pants pattern) or a combination of Vogue, Butterick, McCalls & Simplicity patterns. I bought 210.5 yards of fabric last year...dayum! That's why I still feel like I'm drowning in fabric. My total yardage in was just too high. I hope to work on that in 2019. My last post on my 2018 sewing will be about the garment I made the most of this year - my shirt collection. That's what's up next on the blog! 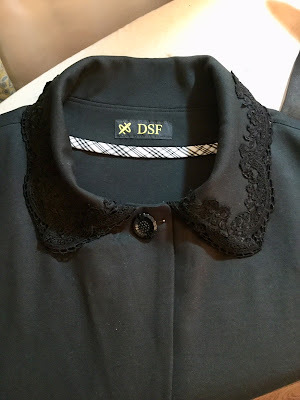 This is the first in a series of posts regarding my sewing this year. Having two major social media accounts: this blog and an IG account, they present an interesting contrast in what's "popular" on both sites. I used a "Best of" App to determine what nine pictures had the most likes for 2018. These were the Top 9. Interesting fact - a successful Instagram pic has 37 likes for every 1000 followers. So if you have 300 followers, a well-liked picture on IG has 111 likes. In my case a successful picture has 315 likes. In the grid, all of the pictures have over 500+ likes. So thank you to everyone who follows my IG account and stops to like a picture and/or leave a comment. Which is a shock to me. Since in my mind I've sewn so much blue and denim and thought they would be featured more prominently. Guess not! LOL! There's a difference between the two with a little overlap. Probably because the blog is more interactive or at least it seems that way to me. To determine what would be the most popular blog posts, I used a benchmark of over 3000 views...not comments. I also chose to feature the Top 9 blogs similar to the Top 9 IG posts. This is my fourth version of this Deer & Doe pattern and my second maxi. It also appears on my Best 9 on IG grid. One of my few political posts this year. My goal this year in not posting political posts was NOT TO KNOW how many people supported the policies of this present administration. But I just couldn't not say anything about this continuing atrocity. This is a Question of the Day post from February. It came about when I was on a sewing binge and felt like no matter how much I made, I just didn't sew enough. Shirt number 6 from the April Shirt Month series. This is the second shirtdress in the series. A post about my plans to sew from the collection. I'm not sure I was successful with this. I did, however, sew 8 garments that used 18 yards of fabric from deep within the shelves of the collection. This is another Question of the Day which was posted in August. It occurred because I used only Indie Patterns that month to sew garments. The kick-off post to April's Shirt Month. An update on things in my world in early March. As you can see the posts are from different parts of the year. Some are garment posts, some are Question of the Day posts and there's even a political post in the mix. I also seemed to sew in series/collections this year which I believe was driven more by the fabric than the patterns/silhouettes. The difference between what was popular on the two social medias is interesting. Probably because Instagram is based upon pictures and whether it grabs your attention. And my blog is based upon in-depth conversations, knowledge, pictures AND offering the reader the opportunity to comment without the comment needing to be based upon liking a garment. As I said above, this is just the first in a series of posts about my sewing this year. I have the Top 5 Hits and Misses coming up and a review of my most sewn item. Then there is the last day of the year post which I end every year with so that I know where I'm going in the new year. 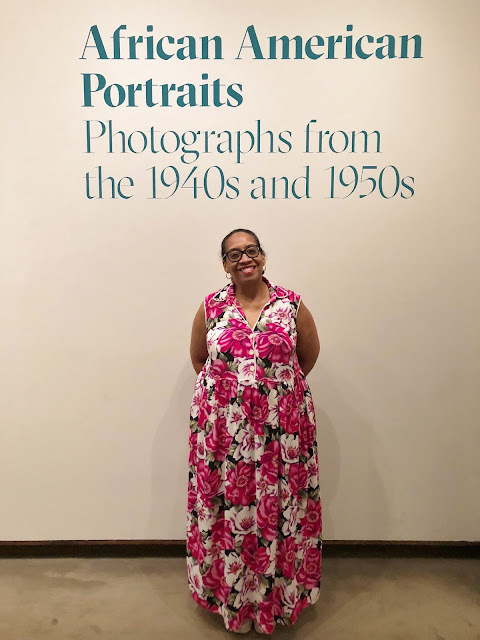 I hope you will follow along on this retrospective. If retrospections aren't your thing, then wait for January when garment posts will resurface because I am sewing during the Holiday break. As I stated on Instagram, "I have a list that I may or may not sew from...a room full of fabric...a stash of patterns and thread in every color." I know, I know you think I mean do you finish garments quickly! But nope not talking about that. I'm asking, "Do you run your sewing machine on the fastest setting?" See my sewing machine has a slow, medium and fast setting on it. I've set mine to sew almost as fast as my machine can go. I've sewn with it on this setting for the last 3-4 years. Just recently I moved it back to the medium setting. I've started sewing slower to get more control over my projects as they go under the needle. I'd never thought about it before. I just wanted to sew as fast as my machine would go to get to the end of the project. However, when I was applying the lace on my Black Ponte Jacket, I had to slow down to be more accurate. By slowing down I noticed that I gained so much more control over my project and my sewing machine. It made me wonder why was I speeding through garments before? Didn't I realize the power of accuracy I was giving up? So here's the "Question of the Day?" 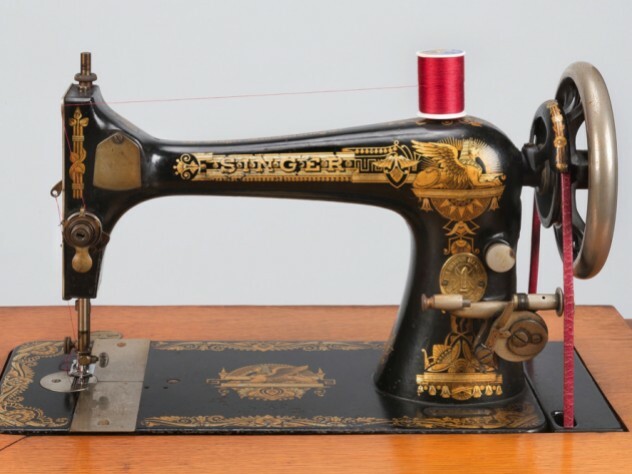 Is your machine set at it's fastest sewing speed? If not, what setting is it set at? And if you sew really fast, are you accurate? 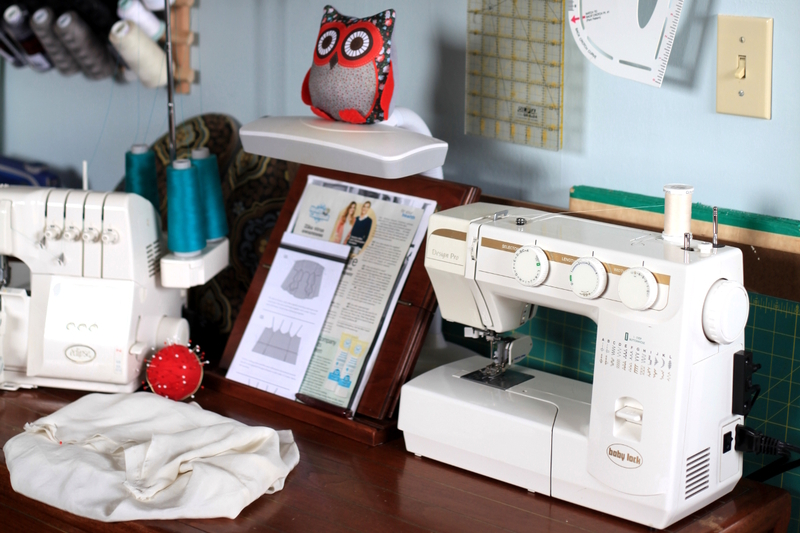 Do you feel like you could be more accurate if you changed your sewing machine setting? Me, I've changed the setting on my sewing machine. I've slowed down. I've gained some more control and I'm seeing better results in my finished garments. Talk back to me...cause I'm really interested! Seriously though, I'm documenting this because I want to have it as a reference for future makes. At one time, I documented almost all of my fabric purchases. It was great when I finally used the fabric to figure out when I bought it and I could point back to it in the garment post. I bought a black stretch corduroy and a floral chambray to make a vest and shirt combo. Honestly I haven't purchased from them since they changed owners and I wanted to try the new site out. The sale was good - 25% off your order. The website was easy to navigate and the shipping was FAST! If you haven't looked at their site or purchased from them lately, I highly recommend this site! I love Michelle's selection. I'm constantly checking it because she's set her website up so that I can check fabric by color or by type. Many times, I just click the color type I'm interested in and ramble through until I find what I need. That's how I found this latest piece. Its called Metropolis Cotton Lawn Navy. 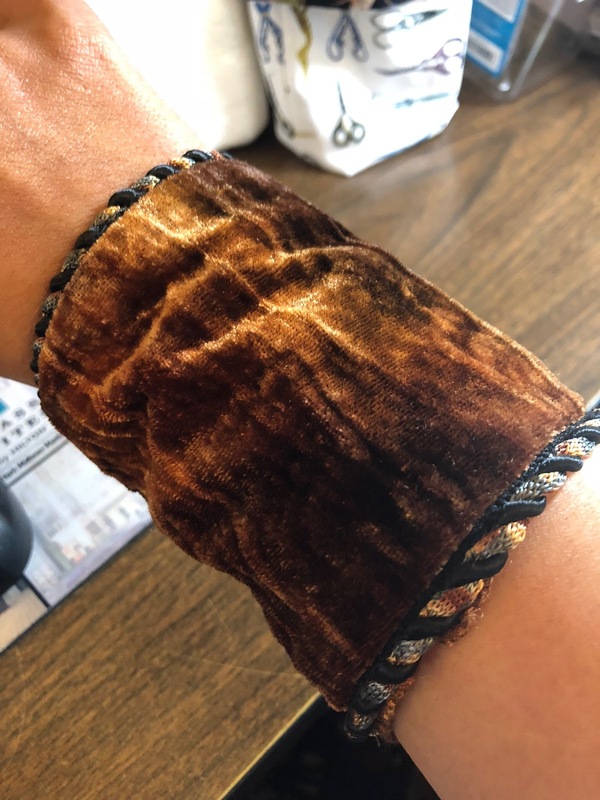 I bought it to go with a blue faux suede that I'd purchased from the craft store in August when I visited the Lancaster one with Gaylen. I want to make another vest/shirt combo with these. However, if you're interested in the same color/fabric combo, Michelle has a blue suede on her site too. I bought the most fabric here. A black & white polyester floral crepe, a walnut cotton oxford shirting, a cotton/jacquard floral print and a floral watercolor sateen print. These will be held for spring sewing. I know, I know but I loved all of them so much and you know nothing lasts at Fabric Mart long. I can't even link to them because they're no longer on the site. I purchased two pieces from Blackbird Fabrics. The thing you should know about ordering from Blackbird Fabrics during a sale is that it takes a minute to get your fabric and that is clearly stated on their website. 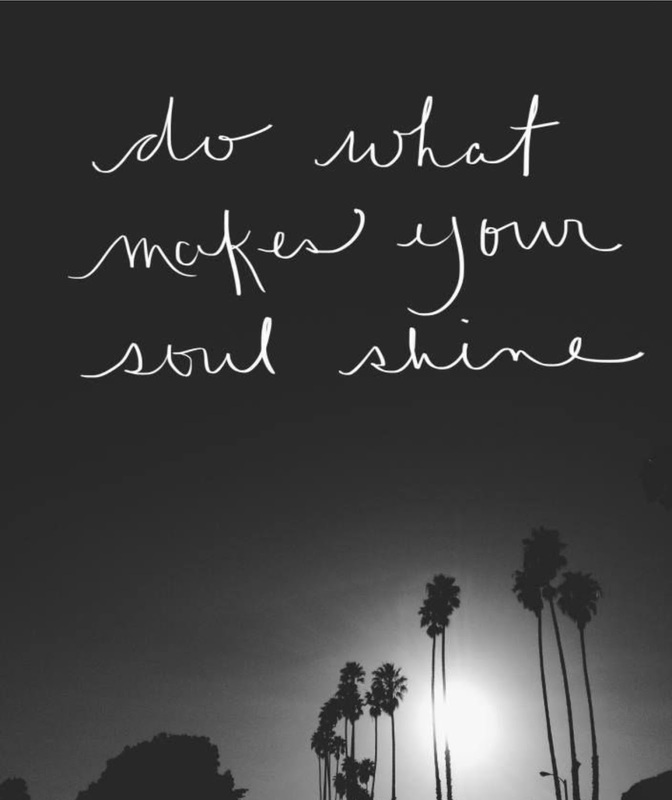 So if you're looking for a quick fix, think about it. This fabric arrived Saturday, December 8th when I ordered it on November 23rd. I'm sure crossing from one country to another is also a factor. I own a lot of denim but no mediumweight black denim. So I bought that and a viscose/linen noil. I purchased the viscose linen noil fabric because I was intrigued by the fabric combo. I know I don't own anything like it in the collection. It's an interesting piece that I will use once the weather warms up. Honestly I get caught up in Blackbird's IG account. The way they showcase fabrics on social media really entices me and is why I keep going back for more! This purchase was a couple of days after Black Friday. Fabric.com had a bunch of Liverpool knits on sale for $6.99 a yard. Seriously $6.99 per yard. I bought three very unique prints. I know exactly what I want to make with these. One is destined to be used during my Winter Break, the other two have been shelved to wait their turn. I know fabric.com has taken a beating on the internet recently and I ordered from them holding my breathe. Thankfully, not only was my order correct but it came quickly. I actually was surprised at how fast it shipped. I guess that means give them a chance if you really want something! If you are interested in any of the fabrics, I've provided links to them. I can vouch that all of them are amazing. Except, someone contacted me on Instagram regarding the floral cotton sateen from Fabric Mart. She had issues with the dyes running when she prewashed the fabric. Fabric Mart did graciously refund her money. However, I googled it and I'm going to try to set the dyes before I prewash the fabric. I will follow up here and let you know how it works out. The last two shirts in The Border Print Series will be up shortly. I've been slowly working on them so they will be photographed on me next weekend. I also said that I would make my next version just like the pattern...mmmmmm I lied. This one is basically made like my first version. I love high/low hemlines and really wanted another version like that. The difference in this one is that the high/low peplum is made from a polyester chiffon. This is a simple sew. I made it exactly like I did the first one. Of course, I complicated it by using the chiffon as the high/low peplum. There were two things that changed with this make. One, I added two layers of the peplum to the front to give a little more length to the front. The second thing is that to insure the chiffon doesn't pull from the ponte (one fabric being heavier than the other) I stitched seam tape into the waistline seam to stabilize it. Since I used chiffon for the peplum, its unlined...another difference from my original version. That's it. There are no other changes to the construction of the top. Then I took pictures of the top and decided that I didn't like it with the second layer. The pictures made it look like I was wearing a tutu over a onesie. Those knit pants just weren't working for me. So I removed that layer by just cutting it out of the seams and retook the pictures with some jeans. That's what's pictured below. I wanted something a little casual and funky, out of my wheelhouse. I think I accomplished that with this make. I like it better with just one layer of chiffon as the peplum and I like the swish in the back. Maybe some day I will make the top as it appears on the pattern envelope. Since this is a great pattern hopefully some day soon I will make another maximized version of the dress with a flared skirt. Something else I've been thinking about for a minute!